St Kilda Mums is a volunteer-powered not-for-profit organisation based in Victoria, Australia. They rehome new and preloved baby goods and equipment for families in need, distributing them as gifts to families who are experiencing hardship. As a Not for Profit who run many of their business processes using Salesforce, they’ve become well known and highly regarded locally as an organisation that is able to, through a robust volunteer programme, offer an invaluable springboard from Salesforce enthusiast, to Salesforce superstar. As an enthusiastic Trailblazer wanting to carve out yourself a Salesforce career, what better way to contribute to a worthwhile cause and make such a rewarding difference, whilst simultaneously, gaining that elusive practical hands-on experience that you need to pass a certification, or secure your first Salesforce position. 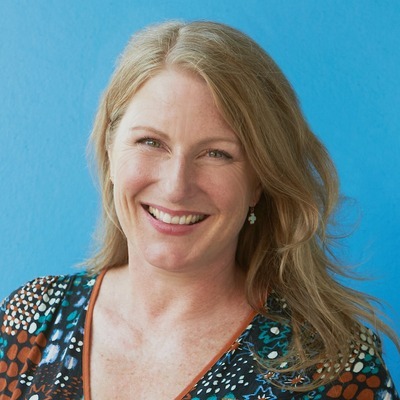 As their Salesforce org is so successfully managed by volunteers and is now a talent magnet for upcoming Salesforce talent, we asked St Kilda Mums CEO, Jessica Macpherson the positive difference that the support has made to the digital transformation of St Kilda Mums. We asked for any advice that she’d give other Not for Profits in a similar situation. How they can they too harness the opportunity of a community of passionate Trailblazers in their local area who are seeking practical experience? How did you identify this successful model initially? We knew that we had a need for I.T savvy volunteers to run our Salesforce org, and so we started by initially posting on LinkedIn for volunteers. Quickly, we realised that there’s not only a lot of talent out there, but also that there’s an appetite for people wanting to break into the Salesforce industry to secure practical experience to complement what they’ve learned on Trailhead. What does a typical Salesforce volunteer profile look like? Typically, they’ll have a strong I.T background and will have used another system extensively before, such as Oracle. They might have built up their Salesforce knowledge by using Trailhead and are eager to apply their knowledge into a practical environment. Some may have never touched Salesforce itself before. Others might be looking to build their Australian Salesforce work experience as they have recently relocated from overseas. The team is so diverse, and volunteers come from all over the world, from countries like India, Sri Lanka, Nepal, and Iran. How long would a volunteer typically join you for at St Kilda Mums? Anywhere from 3-12 months on average, and we generally have about three Salesforce volunteers a day with us. Which business processes do you use Salesforce for at St Kilda Mums? We manage a number of different business processes using Salesforce. This includes all of our financials, such as donations, our volunteer resources, and we’ve also built an app to manage our HR and training data. How do you attract Salesforce volunteers? The volunteering programme has been so successful that now it’s nearly all word of mouth, we’re never short of Salesforce talent now. What would be your 5 top tips for other Not for Profits wanting to attract Salesforce talent? What advice would you give to other Not for Profit organisations who have Salesforce requirements? St Kilda Mums receives applications from a steady stream of volunteers, largely from word of mouth, which is testament to the effective model which mutually benefits both the Not for Profit organisation itself, and the Salesforce volunteers who support it with their skills and dedication. Thank you, Jessica, for your valuable insight and for all of the support that St Kilda Mums gives to families experiencing hardship. Talent Hub are proud Trailhead Tuesday Leaders for the Sydney and Melbourne regions, and these groups are often attended by Salesforce curious professionals with outstanding I.T skills who are seeking hands on Salesforce experience having completed a host of badges on Trailhead. If you have a current need then don’t hesitate to reach out to us so that we can make introductions. St Kilda Mums has branches in St Kilda, Geelong and Ballarat, and partners with sister organisations across the country. Visit the St Kilda Mums website for more information on how you can help, or contribute to such a worthwhile cause. To hear more about live Salesforce roles, or the Salesforce talent that we’re talking to at the moment, then get in touch with Talent Hub for a confidential discussion. You can check out a selection of our current Salesforce opportunities here.